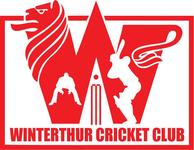 Winterthur lost to Olten by 120 runs in their second Pickwick Twenty20 game of the day at Deutweg on Sunday 28th May 2017, reports Mohamed Sameel. Olten CC won the toss and decided to bat, WCC started very well keeping things tight and managing to get the two Olten CC openers Jaso and Shahid for 17 and 16 respectively before being castled by Jagath. This brought Murali and Raja to the crease and they managed to put up a good partnership, then Sahan struck with a peach to Murali who Gave WCC caprtain Tom a straight forward catch behind the stumps for 22 runs. JK walked in to join Raja at the crease and they put up another wonderful partnership which saw Raja dispatching the WCC bowlers to all parts of the ground before being held by Suhash off Kasun for 44 runs. Ruban then joined JK at the crease and although these two batsman did not get off to a fluent start, some wayward bowling by WCC helped these two batsman to get set for the launch in the final few overs, both then put on a match winning partnership JK scoring 56 runs and Ruban 44 runs both falling to Ruan. Olten CC posted 232/7 in their allotted 20 overs. WCC had to go big from the start, which saw Jagath opening the batting along with Ruan. Jagath and Ruan got off to a good start, Ruan took the initiative to take on the Olten CC bowlers and scored a quick 30 before being caught and bowled by Gowri. Pradeep then joined Jagath at the crease, he started well hitting boundary off the second ball of his inning but soon judged LBW to Satheesh for 4 runs. Captain Tom walked out to join Jagath at the other end with a huge task ahead of both of the players, Tom started off brilliantly smashing the very first ball he faced to the fence for four but was caught by Jaso off Satheesh the next ball. This saw Kasun waling out to the middle to join Jagath despite these two batsmen trying to settle the ship, the required run rate kept climbing up and they had to go big and this situation saw both Kasun (4 runs) and Jagath (17 runs) losing their wickets quickly. Before too long it was DP and Anoop at the crease for WCC, Anoop did not last long either having been clean bowled by Olten's left arm spinner Tharani for a duck. This saw WCC's two big hitters Sahan and DP at the crease with a mammoth task ahead of them but Sahan (3 runs) soon followed suit giving a simple straight forward catch to Sheeraz off Satheesh. Mohamed then walked out to the middle to join DP at the other end and these two batsmen tried to play out the remainder of the overs for WCC. Impatient DP soon lost his concetration and tried to smash Tharani for a six over mid-wicket was clean bowled. Suhash joined Mohamed an the crease, Suhash was soon runout by Tharani trying to steal an impossible single for 1 run. This saw the last man Shijo walking out to the crease to join Mohamed, both facing an impossible task ahead of them. Before too long Shijo was judged LBW off Gowri for 2 runs leaving Mohamed 15 runs not out. WCC 112 all out in the 15.3 overs handing a 120 runs victory to Olten CC.